It’s been a catastrophic 18 months for investors of Solo who bought on the spike or in most places on the way down. They say a chart says 1000 words, and in this case it most certainly does - the share has been in a perpetual downward trend following delay after delay in its Ontario operations and multiple dilutions. Even some shrewd investors who bought prior to the spike up and held the way through will now be rolling in distress, but the questions are; where is Solo going next? Does it have upside potential? And is it worth having a look at? Solo has 3.3bn shares in issue and a current market cap of £11.47m. Solo has two main assets: Production in Ontario (Canada) and Exploration in Ruvuma (Tanzania). Solo entered Canada through the ‘Ausable Field’ in April 2010 for a no interest loan consideration amounting to approximately £1m whereby Solo receives 60% of production revenue until the loan is repaid with the figure dropping to 50% upon repayment. Proved and probable reserves in Ontario are at ~35000 and ~160000 barrels of oil equivalent. Solo’s well Ausable#5 was spudded in February 2011 with a total depth of circa 600metres. The aim of the well was so it could “be cored and data used to develop the Company's gas storage asset and assist in determining horizontal drilling locations and trajectories for the first phase of the Natural Gas Recycling and Enhanced Oil Recovery ("EOR") program.” The Ausable#5 well observed oil shows over a 32 metre zone and was set for logging. The spike came in April as the company released news that the Ausable5 well had encountered 72m net hydrocarbon pay with an average porosity of 9.7% in the ‘Guelph’ formation. Following this find, the company said it would be further analysed with the final objective being to bring it into production should it be commercially viable. The first delay came to testing the well after heavy rainfall. However, testing started soon with preliminary completion steps including swab testing and a ‘multi-stage acid treatment’ program. Acidisation helps production rates. The acid is pumped into the well and it erodes chemically liable rocks such as limestone. This effectively improves the porosity of the rock (which in this case was 9.7%) by enlarging existing holes. For those who are wondering, other chemicals are added to the mixture to prevent the corrosion of the metallic well casing. The second complication arose after ‘foaming occurred’ and flow rates were difficult to ascertain despite initial flows during completion meeting/exceeding expectations. The foaming occurred due to ‘[a] high gas ratio and very light oil’. Upon this announcement they also added that the well will be tied into the Ausable processing facility to try and get proper flow test results. At the time, flow rates were expected to be known by August 1st 2011. Yet even after tying in the well, production rates could not be given due to continued foaming. Shortly after, the well was shut in to gauge pressure and fluid data to try to understand likely flow rates through a non-flowing method. “Pipeline material and other field optimisation components for bringing Ausable #2, #4 and #5 wells on production are arriving on site and will be initially installed in Ausable # 5 and then rolled out to Ausable #2 and Ausable #4. Production from the upgraded pumping system will be commissioned as soon as they are connected to the Ausable facility. The success of the Ausable Field development ultimately depends on the availability of gas to re-pressurize and then maintain pressure in the Ausable reef so that oil and condensate can be withdrawn above the bubble point. The arrival and commissioning of the optimised pumps for all production wells is therefore coupled with additional gas supply from the adjacent North and South Airport reefs. We believe that the combination of these factors will provide a significant increase in field production in 2012.” This statement was marked as the turning point in reference to Solo’s Canadian operations yet even 2012 has been problematic with even further delays. The first update came in late January with the North Airport 1 exploration well being spudded as well as notice that the venture pump was successfully installed at Ausable#5. Additionally, the Ausable#2 well was being prepared so it could also be connected to the pump. Then in February this year, a further update and further delays on the Ausable#5 well with a new valve needing to be replaced as well as wax production inhibiting production rates. To rectify this, a ‘gas-fired line heater’ was now being installed. Early estimated of 200boed was set for mid-2012 and 500boed for year-end 2012. The North airport well reached total depth in April (about the only thing that has actually been on time!) indicating hydrocarbon potential, which is quantified upon logging, will be used for the EOR program, in particular for well pressurisation. This was soon found to be 63m of net pay. Since June, no further updates have been released from Canada although flow rates from the Ausable well are supposedly imminent. Clearly it is easy to see why investors have grown restless over Solo’s Canadian campaign, but you can only help but wonder if any further problems will ensue. From my point of view, it can only get better from here for the Canada side of Solo. Any positive update will no doubt raise the share price and reinstall some confidence back into investors. Solo’s Tanzanian interests lie with Aminex (who I have researched before) where there is a 25:75 split respectively. In Tanzania Solo cooperated with two wells; Likonde-1 and Ntorya-1 in the Ruvuma Basin which spans the southern border between Mozambique and Tanzania. The well was consequently completed and flow tested. From this the 3.5m section as perforated and flowed a significant 20mmcfd as well as 139 barrels condensate/day of 48API. This greatly improves the economics of the discovery and is highly likely to be commercial once infrastructure is built and is made available in 2014. Even more impressively is that the discovery appears highly charges with a reservoir pressure of circa 5500psi with very little formation water produced. Importantly the Ntorya well is less than 25km from the Mtwara power station so will benefit from a reduced transport distance. After the reserves report was published it attributed 178bcf as discovered to Ntorya-1 with P10 upside of a further 106bcf. Using some very rough calculations using the £1,200,000,000m Cove was bought for and Solo’s £11.47m market cap, take the high range Cove estimates to be 5,244,500MMcf and Solo’s Ntorya discovery as 178,000MMCF. Divide 1,200,000,000 by 5,244,500 and you get Cove’s per TCF value as £228.8m. Then divide this by 1000 and multiply by the find of 178bcf. Theoretically this places the value of the Ntorya discovery at £40.7264m of which £10.1816m is to Solo (almost entirely its market cap). If you then take the low range TCF estimates for Solo you get a value of £74.68m for the Ntorya discovery of which £18.67m would be Solo’s. Of course, these calculations are very rough and most probably over due to the costs of development among other charges. It can also be argued that PTTEP overpaid for Cove’s acreage (hence why Shell pulled out). What it does highlight though is the supposedly cheap value of Solo’s market capitalisation based on Cove’s takeover value as the Canadian assets are thrown in for their original acquisition costs and no other Tanzanian prospects are priced in. To support this view, Broker Old Park Lane recently upped its 1.5p target to 2.0p following the Ntorya discovery with the Ruvuma Basin stake estimated at 1.6p. Shore Capital also upped its valuation for Solo to 1.6p from 1.2p following the Ntorya discovery. Despite the Tanzanian discovery the share price has continued its decline on the back of sustained selling pressure but not least because of the continuous dilutions that the company has been faced with since signing a 3 year £10m equity line facility in November 2011. Whilst this should be expected due to the low cash balance of the company, it has continued to plague the share price. Through deducting the total cash withdrawn from this line, £7.709m is remaining. Perhaps this is why it came as a complete surprise that on the 9th August Solo completed a placing at a significant discount to the prevailing share price (0.3p) to raise £1.5m through allotting 500,000,000 new shares sending the share price down even further. So, where is Solo heading? 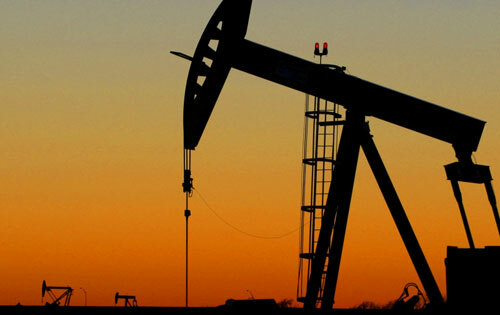 Solo’s plans are to farm-out their Tanzanian acreage to a medium/major oil and gas company along with Aminex in late 2012/early 2013 so they can pursue Canada. Through doing this they will also seek attractive terms which are likely to include a free carry for their share in Tanzania. Whilst this may occur, it is possible that they will sell their entire Tanzanian stake or sell the entire company. The upside potential here firmly lies with uncovering the Canadian upside and through farm-outs, and further exploration success in Tanzania. 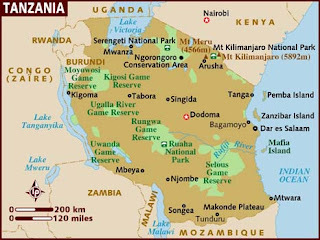 Should Solo still be in Tanzania in 2013, they will enjoy a two well exploration program through a larger operator. This is perhaps where the most potential lies with a significant find giving Solo skyrocket potential. I have a buy tag on Solo. However, Solo is clearly a medium/long term prospect and should be thoroughly researched before investing in. Excellent report,cleared up a lot of the questions I had.